How To Create a Boss Logo? For a successful company headed by a strong, responsible leader, the role of a boss is crucial. 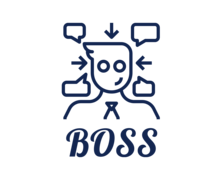 A logo featuring a busy boss is a great choice for cafés and restaurants, clubs, legal practices, financial institutions, and other organizations that require control and supervision. If you are working at a restaurant and your boss is a wine expert, their image will look great on your wine menu, waiters’ uniforms, or furniture. It’s also not uncommon to see a boss image on promotional items and signboards.And finally, the icon. Consider using one of the following images: a funny character in a chef’s hat, a serious boss at a desk, a Native American chief, a revolutionary, etc. When it comes to depicting a leader, you can’t go wrong with saturated, catchy colors and massive shapes. For your company or shop name, use contrasting colors and a neat font. Don’t mix more than 3-4 shades; also, opt for a transparent, minimalist background. 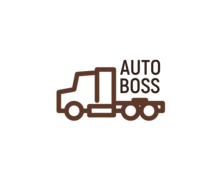 How do I create a boss logo for my brand?